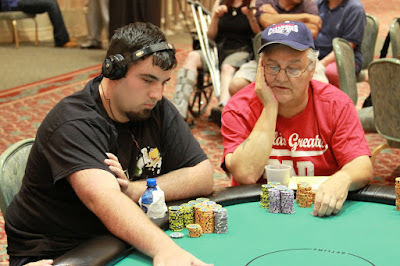 John Weiss and Bill Davis Jr. are on a 10-minute break before heads-up play begins. The board ran out [As][8h][5d][4h][4s] and Weiss paired his ace to win the pot. Kiaer has been eliminated from the tournament in 3rd place. Swears got it in with the best hand but the board ran out [Qs][Th][Ts][5c][Tc]. Davis made tens full of queens to win the pot and eliminate Swears in 4th place. 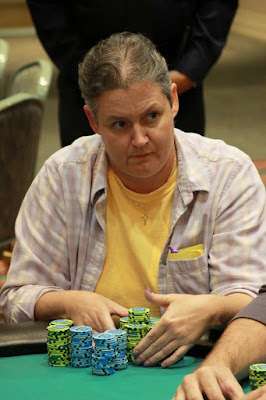 The board ran out [Jd][9c][7h][7c][6c] and Davis's tens held to win the pot, eliminating Pap in 5th place. The five remaining players are on a 10-minute break. When play resumes, the blinds will be 50,000-100,000 with a 15,000 ante. 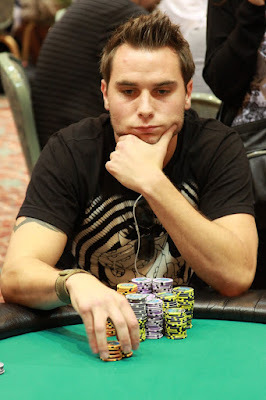 Weiss flopped the set to win yet another big pot and eliminated Forman in 6th place. 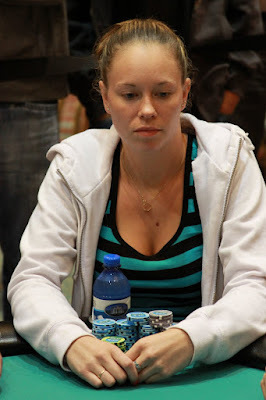 The board came [As][Kd][8h][5d][5h], giving Weiss a pair of aces and the pot. 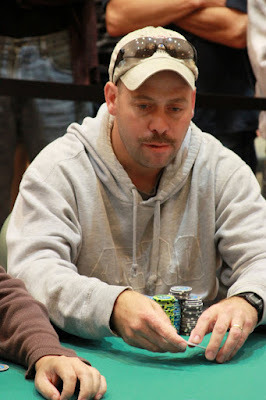 Donegan was eliminated from the tournament in 7th place. The board ran out [7s][3c][2s][Qh][4d] and Wagner's tens were unable to improve, eliminating her from the tournament in 8th place. 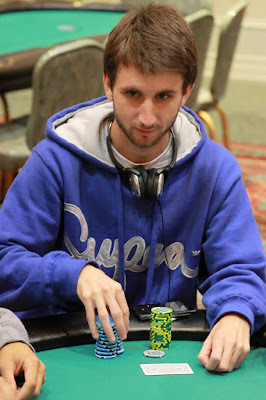 Michael Forman raised to 135K preflop and Matt Pierce reraised an additional 225K from the small blind. Jeff Weiss called from the big blind and the Forman folded. Pierce had flopped a set but Weiss flopped the straight. The turn was the [4d] and the river came the [5d]. Pierce was unable to make his full house and Weiss won the pot. 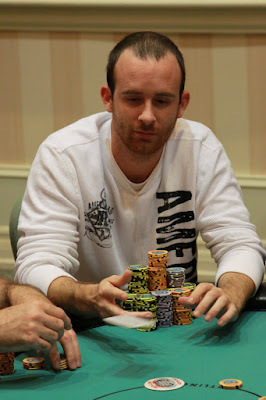 Weiss had Pierce covered by less than 100K to eliminated him from the tournament. 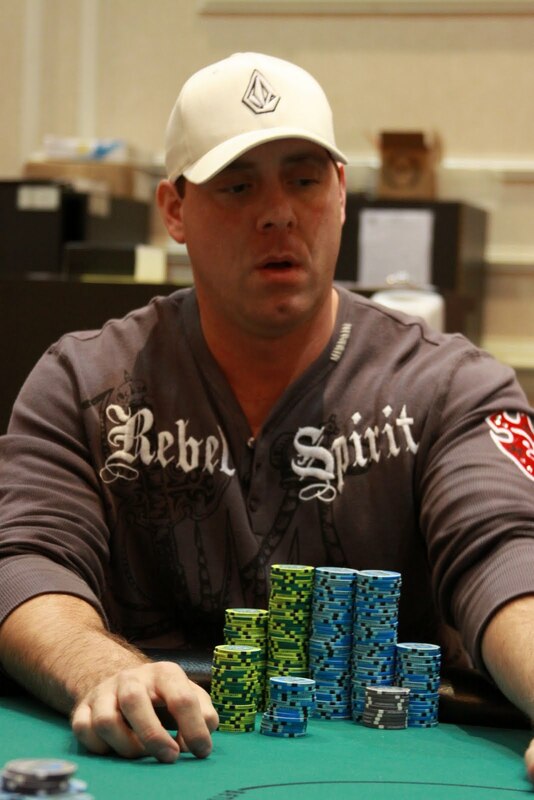 Weiss now has well over nine million chips with just over 19 million total in play. 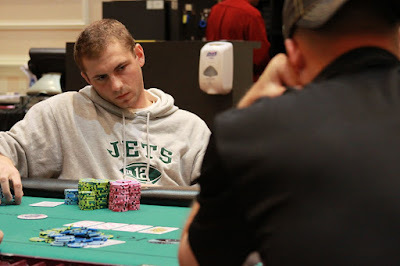 The flop came out [Ad][Jc][3d], giving Pierce a set but Maneval still has out with a gut-shot straight draw. However, any chance he had disappeared when the [3s] came out on the turn. Giving Pierce quads. A meaningless [Ah] fell on the river and Pierce raked the pot, knocking Maneval out in 10th place. $340 Mega Stack Final Table! We are down to the final ten players in the $340 NLHE Mega Stack Challenge event. Players are now redrawing for seats at the final table! 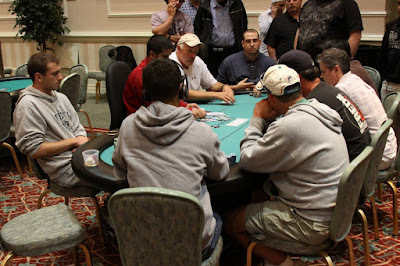 Players have returned from dinner break and the blinds have been increased to 30,000-60,000 with a 10,000 ante. The remaining 12 players are now on their one-hour dinner break. With only 20 players now remaining, players are redrawing for seats at the final two tables. The 21 remaining players are now on a 10-minute break. 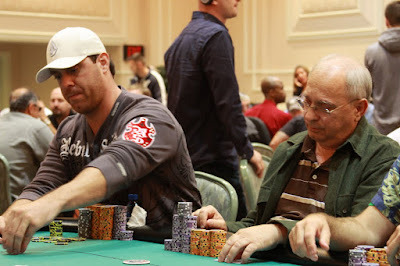 When they return, the blinds will be increased to 20,000-40,000 with a 5,000 ante. The average chip stack is 925,000. We are down to the final three tables of the $340 NLHE Mega Stack Challenge and players are now redrawing for seats. 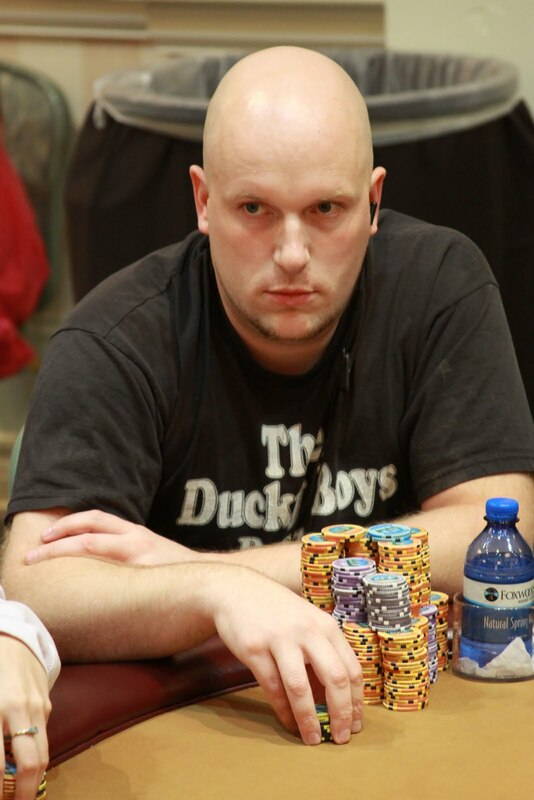 The bust-outs are still coming early and often on Day Two of the $340 NLHE Mega Stack Challenge. We are now down to 35 players remaining. Players are currently on a 10-minute break. 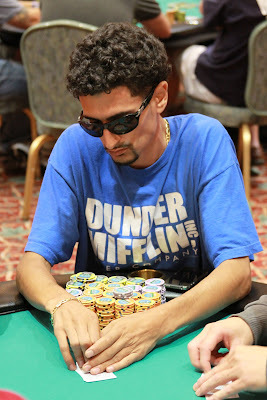 When they return, the blinds will be increased to 12,000-24,000 with a 3,000 ante. The action has been incredibly fast paced here on Day Two of the $340 NLHE Mega Stack Challenge event. 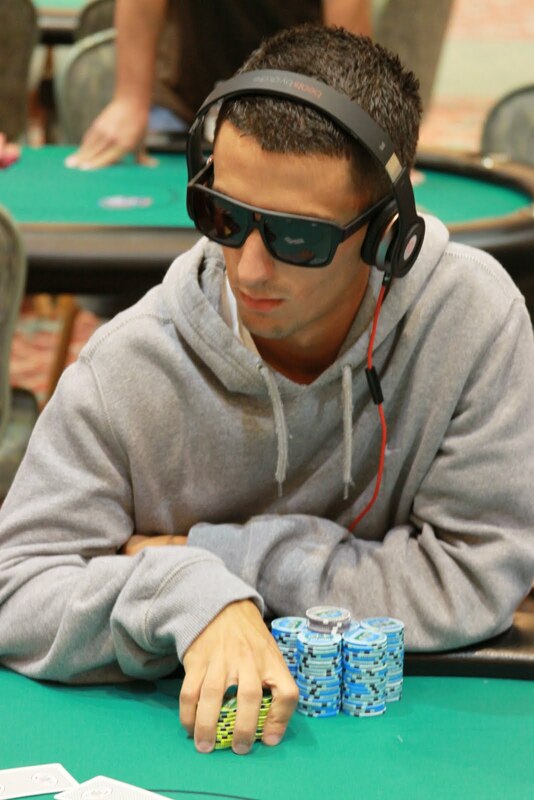 When they return, the blinds will be increased to 8,000-16,000 with a 2,000 ante. 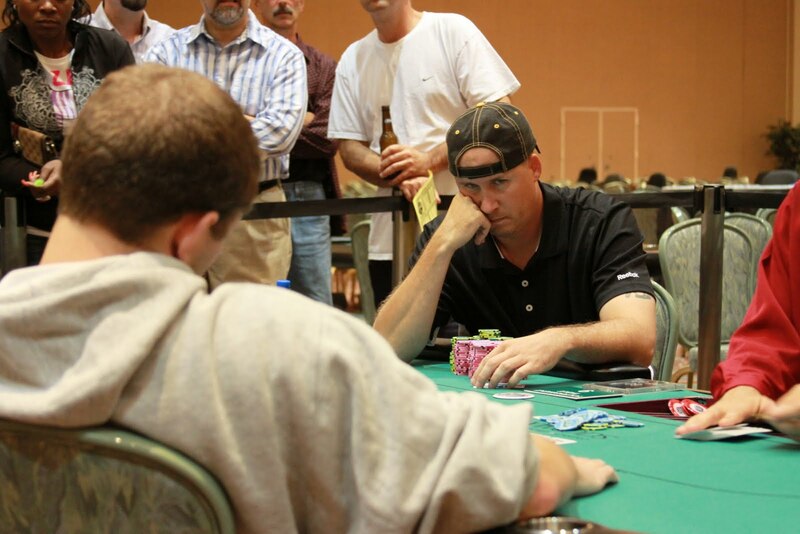 There are now only 62 players remaining and the average chip stack is just over 313,000. * 130th and 131st were both knocked out on the same hand at different tables during hand for hand play and therefore slit the payout for 130th place. Play has resumed on Day 2 of the $340 NLHE Mega Stack Challenge event. 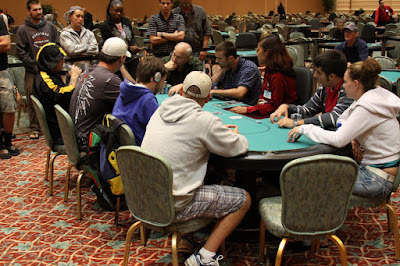 Players filing in to the Grand Pequot Ballroom and starting to unbag their chips. A total of 110 players survived Day One. We will be playing down to a winner today! 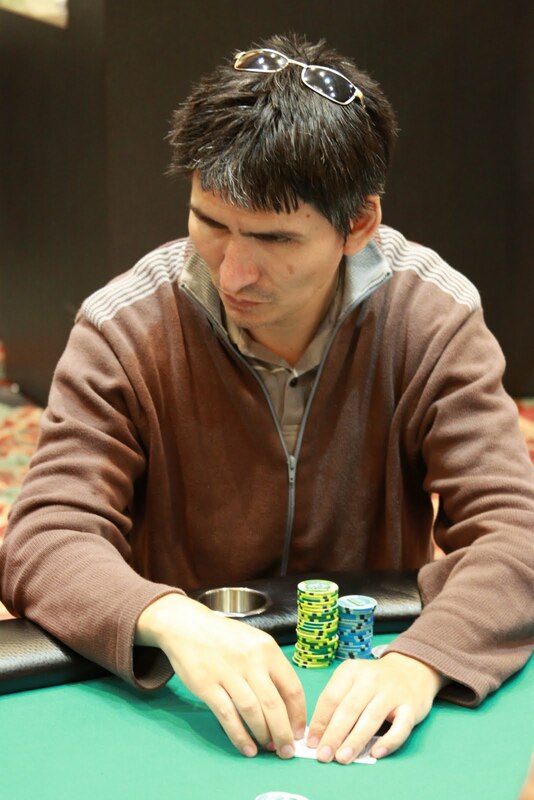 Day One of the $340 NLHE Mega Stack Challenge Event #1 has come to an end with 110 players remaining. We will redraw for new seating assignments tonight and play will resume tomorrow at noon. Be sure to stay tuned to www.FoxwoodsLive.com for all of the updates, photos and videos from the event. Also check us out on Twitter at www.Twitter.com/FoxwoodsPoker, on FaceBook at www.FaceBook.com/FoxwoodsPoker and on YouTube at www.YouTube.com/FoxwoodsPoker. With 131 players remaining, play was hand for hand when we lost a player at two different tables on the same hand. Those players will split the $678 prize for 130th place and play is now back underway with 15:39 left in the final level of the day. 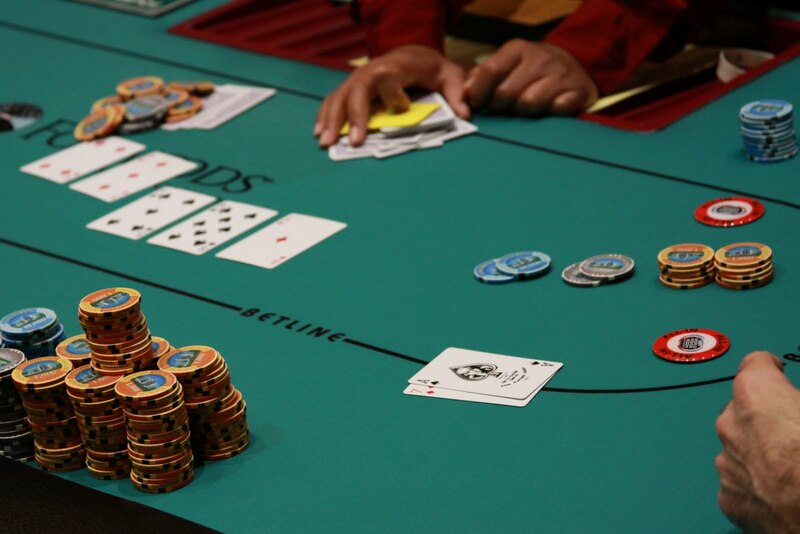 The next event in the August Mega Stack Challenge is the $560 NLHE. The event kicks off at 11am. 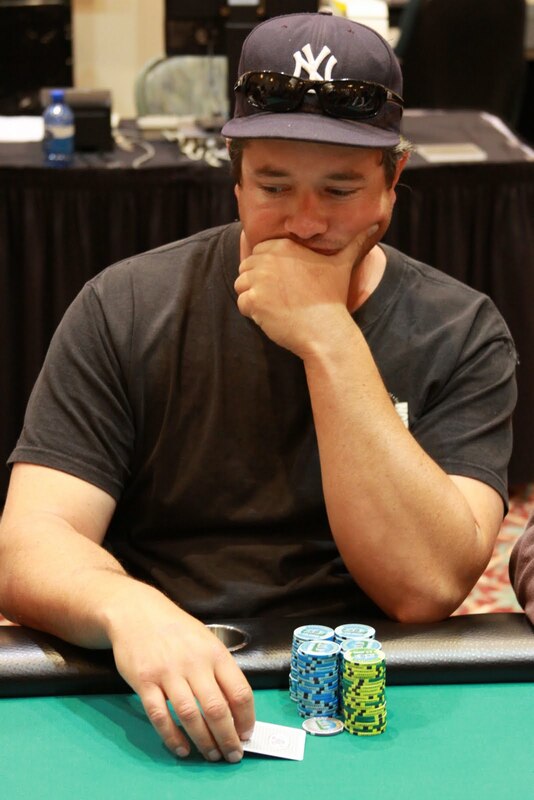 Come join hosts 2003 WSOP Main Event Champion Chris MoneyMaker and 2009 WSOP Main Event Runner-Up Darvin Moon for this $125,000 Guaranteed prize pool event. With only 137 players remaining and top 130 spots cashing, we are now starting the final level of the night. The blinds are now 4,000-8,000 with a 500 ante and the chip average is just under 142,000.